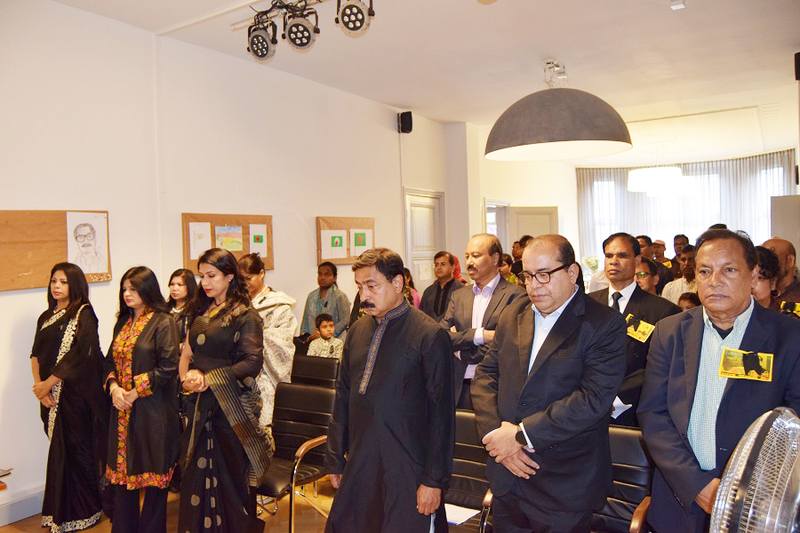 Embassy of Bangladesh in The Hague observed 43rd martyrdom anniversary of the Father of the Nation, Bangabandhu Sheikh Mujibur Rahman and the National Mourning Day,with due reverence and solemnity. 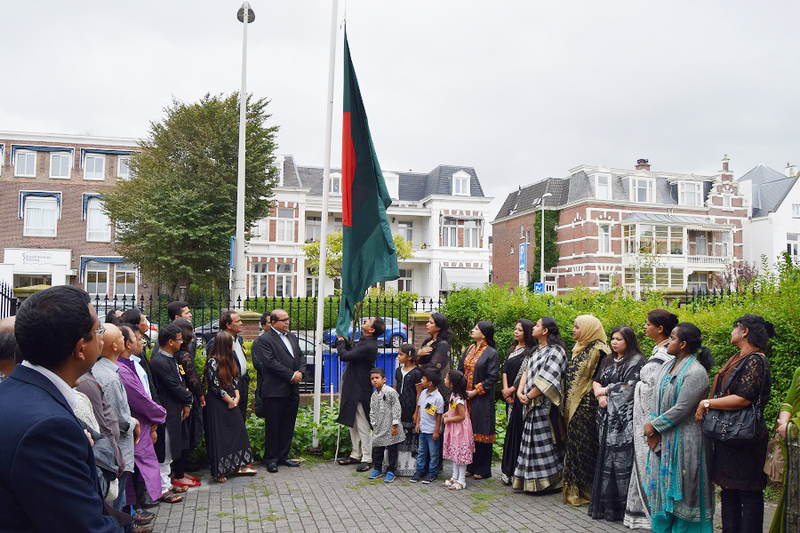 Embassy officials along with members of the family, leaders of the Netherlands Awami-League and expatriate Bangladesh community attended the programme. Visiting Professor and Chair of the Department of Criminology of the University of Dhaka Dr. Zia Rahman graced the programme as special guest. The programme of the day commenced by keeping the National Flag half-mast at the chancery premises. The programme started with the recitation from the Holy scriptures. 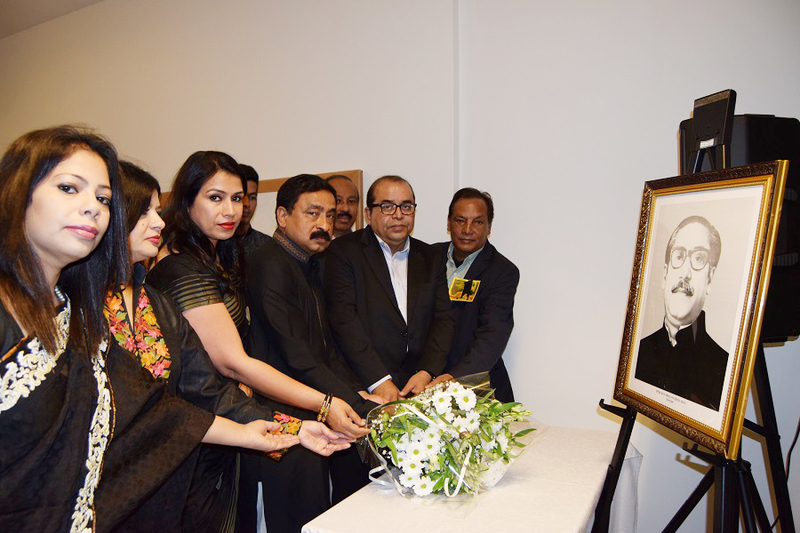 After that one minute silence was observed to pay homage to the departed soul of Bangabandhu Sheikh Mujibur Rahman, the members of his family and the other martyrs. The messages given by Hon’ble President, Hon’ble Prime Minister, Hon’ble Foreign Minister and Hon’ble State Minister for Foreign Affairs on this day were read out. 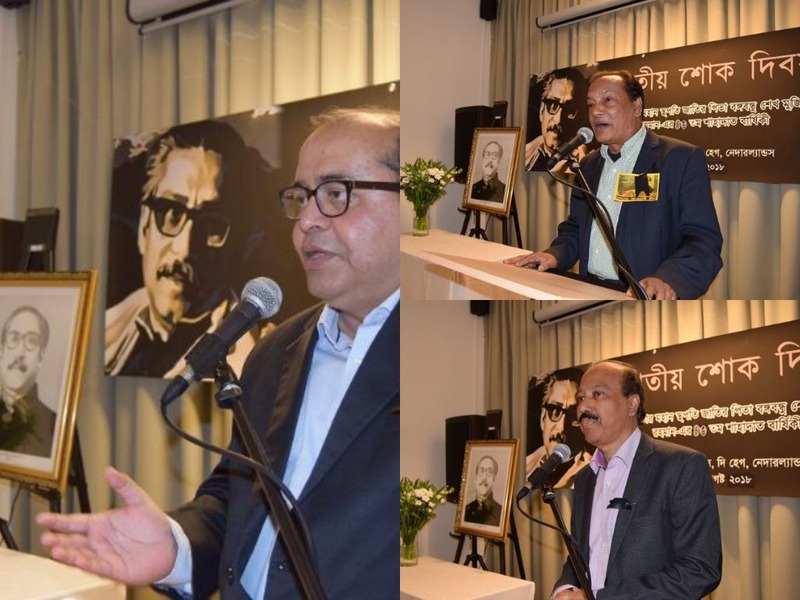 The leaders of the Netherlands Awami-League Mr. Jounal Abedin, Mr. Mostafa Zaman and freedom fighter Mr. Maeed Faruk delivered their speech in remembrance of the Bangabandhu. They highlighted on life, ideals, struggle, sacrifice of Bangabandhu and reiterated his determination for working hard to place the foundation of “Sonar Bangla”. The heinous incident of 15 August is the darkest part of the history of Bangladesh. Having towering personality, he remained always close to the heart of every Bengali. They expressed satisfaction on partial execution of the verdict of the Court and demanded immediate extradition of the absconding killers of Bangabandhu for execution of the court verdict. They also praised the able leadership of his daughter and mentioned that the government of Hon’ble Prime Minister Sheikh Hasina is, indeed, giving that dream of ‘Sonar Bangla’ a real shape. As special guest, Prof. Zia Rahman delivered his remarks in connection with the ongoing development spree of Bangladesh. How Bangladesh is attaining landmark achievements one after another in both national and international arena. He further stated that Bangabandhu is the integral part of Bangladesh and his contribution in nation building is indispensible. His courage knew no bounds and the word fear was not in his dictionary. His entire life was sacrificed for establishing rights of the Bengali nation and freedom of his beloved country. He also presented a paper titled ‘Bangabandhu’s political philosophy in development of Bangladesh’. H.E. 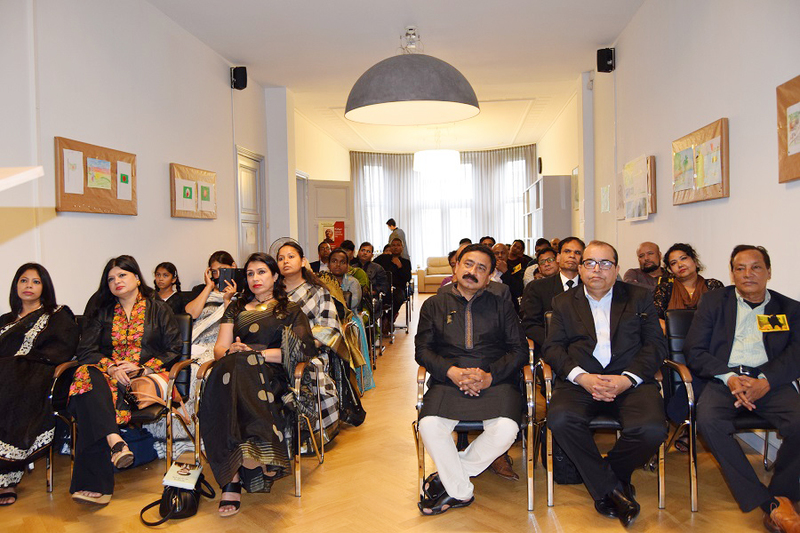 Sheikh Mohammed Belal, Ambassador of Bangladesh in the Netherlands in his speech expressed his deep gratitude to Bangbandhu as a Bengali. He mentioned that, for Bangabandhu’s utmost contribution we are living in the independent Bangladesh and can introduce ourselves as a proud Bengali. Everybody is sent to this world with a mission, Bangabandhu was sent to us as a blessing to give us a free nation. It was his farsightedness and powerful leadership which motivated the countrymen to join in the war of liberation. After independence, due to his political prudence and indomitable courage a war torn country made its beginning towards a developing country as a free nation. This charismatic leader, in his short span of life, worked relentlessly to create a society free of poverty, hunger and injustice. Ambassador Belal further mentioned that the untimely death of Bangabandhu not only ruined our development but also created a scarcity of leadership in the political regime of Bangladesh. However, under the leadership of Hon’ble Prime Minister Sheikh Hasina, Bangladesh found its lost hope and own way to turn around. Bangabandhu was not only a great leader of our sub-continent, he is an inspirational spirit for coming generations. It is our sacred duty to disseminate the ideology of Bangabandhu in our future generation. In coming days, our future generation will come up with new ideas and thoughts, it is very important that they hold the principle and ideology of Bangabandhu in their thoughts. 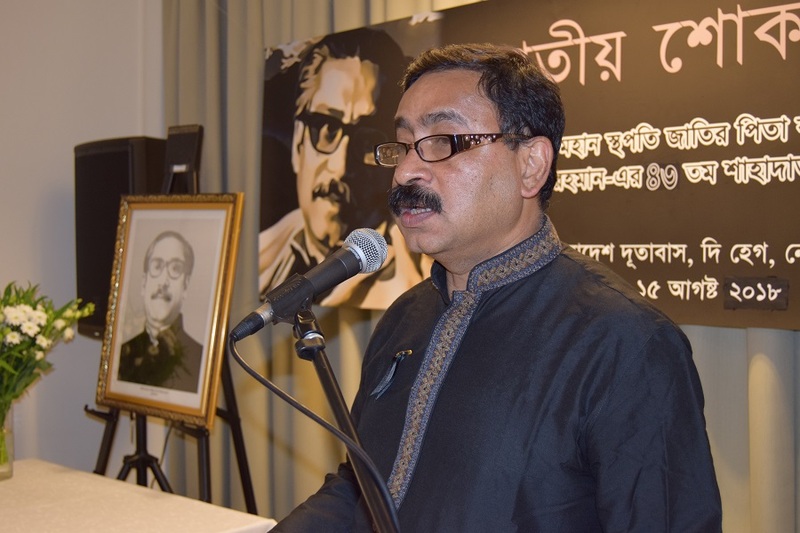 Ambassador Belal urged all to do their part as a modern day freedom fighter through implementing ideals of Bangabandhu through their deeds. As a beginning, he urged, each expatriate Bangladeshi to do their part through sponsoring of their respective primary school and help importing Bangabandhu’s ideals into our children. In an effort to motivate our children to know more about Bangabandhu, a speech session of the children was arranged. School going five children of different age participated in the session. Their short eloquent deliberation about Bangabandhu surprised the audience. To inspire them, Dr. Dilruba Nasrin, wife of the Ambassador, presented token of gift to all the children who participated in the programme. Later, a special prayer (munajat) was offered seeking divine peace for the salvation of the departed soul of Bangabandhu Sheikh Mujibur Rahman and his martyred family members and for continued peace, progress and prosperity of our motherland. Short documentaries on Bangabandhu were screened at the end of the programme. 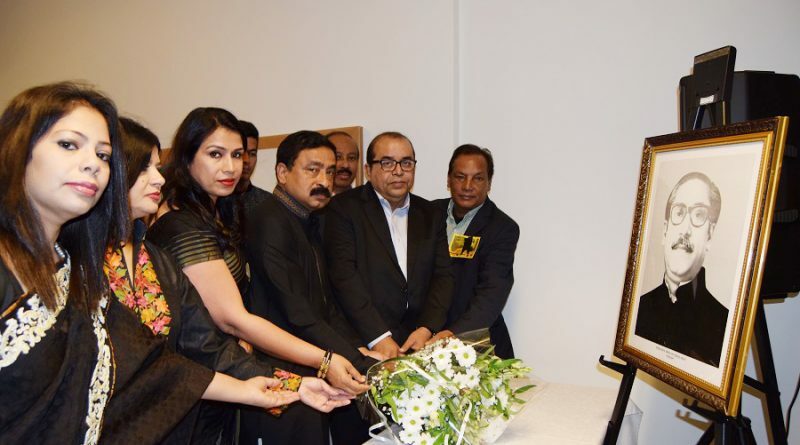 ← National Mourning Day-2018 observed in Washington with renewed pledge to build “Sonar Bangla” dreamt by Father of the Nation. 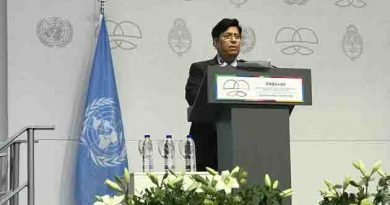 Bangladesh underscores the importance of South-South Cooperation in the implementation of the 2030 Agenda– Foreign Minister Dr. A. K. Abdul Momen. 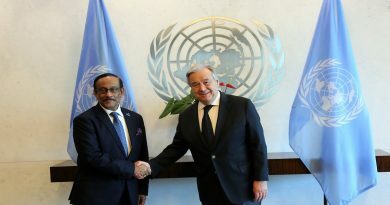 UN Secretary-General appreciates Bangladesh’s socio-economic development under the dynamic leadership of the current government. 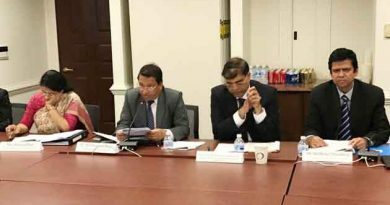 4th TICFA Council Meeting held in Washington, D.C.